Lake Ellsworth in West Antarctica is similar in size and topographic setting to Windermere in the Lake District; it is 14 km long, 2-3 km wide, 150 m deep, and is contained within a steep glacially-carved valley. The only main difference is that Lake Ellsworth lies beneath 3 km of ice. Nearly 400 lakes are known to exist beneath the ice. When deep-water Antactic subglacial lakes were first identified in the 1990s, two hypotheses emerged; that they represent extreme yet viable habitats, and that their sediments may record important information about past ice sheet changes. 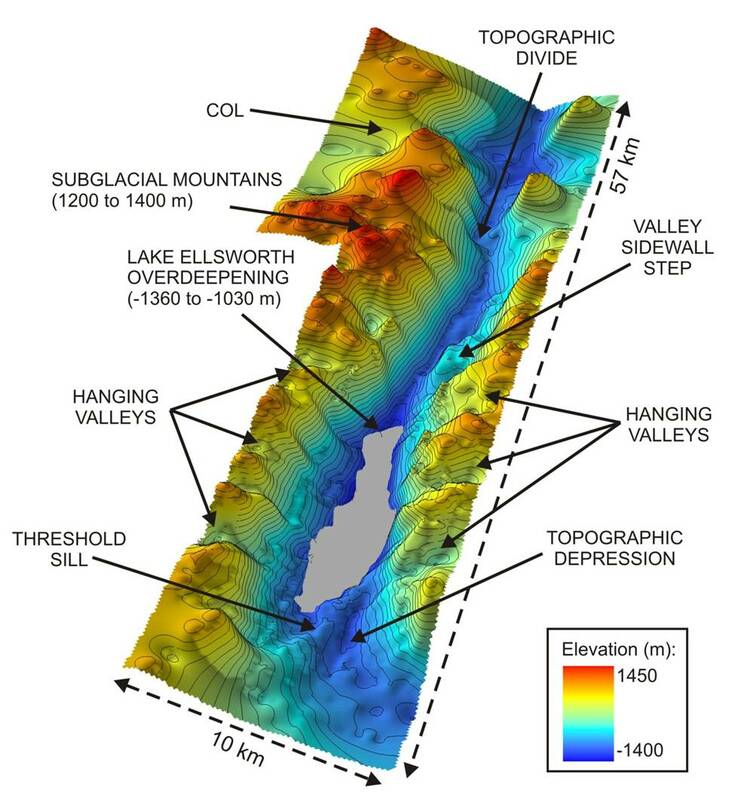 Testing these hypotheses requires direct measurement and sampling, which the Lake Ellsworth programme hoped to achieve in 2012 using a specially-designed hot-water drill. 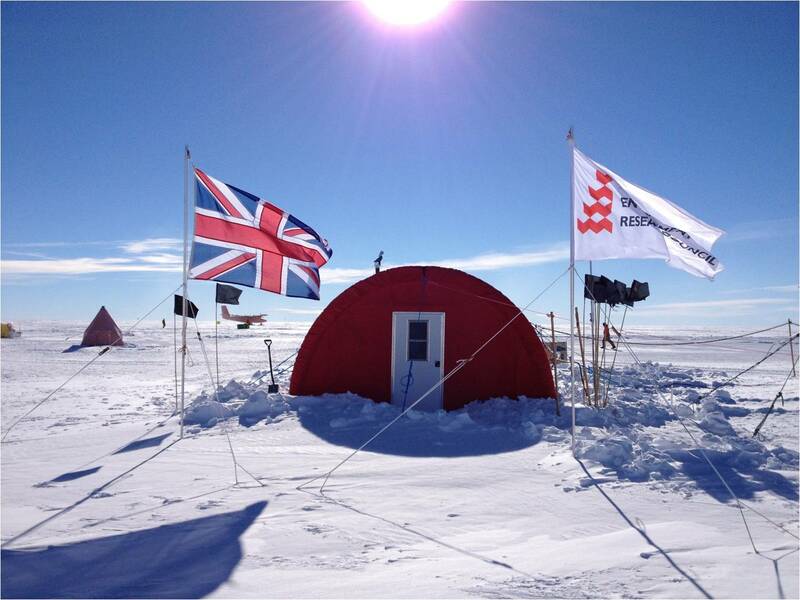 This UK project, involving several Universities, the British Antarctic Survey and the National Oceanography Centre, had been in planning for over 10 years. The project developed a full blueprint for subglacial lakes research, involving access to the subglacial environment through deep-ice drilling, direct measurement and sampling of water and sediment by the construction of a probe and sediment corer, and environmental protocols to ensure cleanliness. In the early hours of Christmas Day 2012, the exploration attempt was called off, after the main borehole failed to link with a subsurface cavity of water, built up over ~40 hours. Without this link, insufficient water was available to continue drilling downwards to the lake. On returning to the UK, an external review of the programme formally assessed the reasons for the fieldwork failure, uncovering a series of technical problems. Crucially, ‘load sensors’ on the hose reelers, that should have prevented the drill head from bottoming out in the borehole, did not function in the field. This, coupled with a lack of ability to deliver low drill speeds, and boiler performance issues, meant that it was likely one or both boreholes were not drilled vertically. Despite the failure, hot-water drilling is still regarded as the only feasible scheme by which clean access to the subglacial environment can be assured. We have learned many lessons from the Lake Ellsworth experience, but none of the problems are insurmountable. We remain confident that a technical revision to the drill can be designed and built, although it may take several more years to complete. 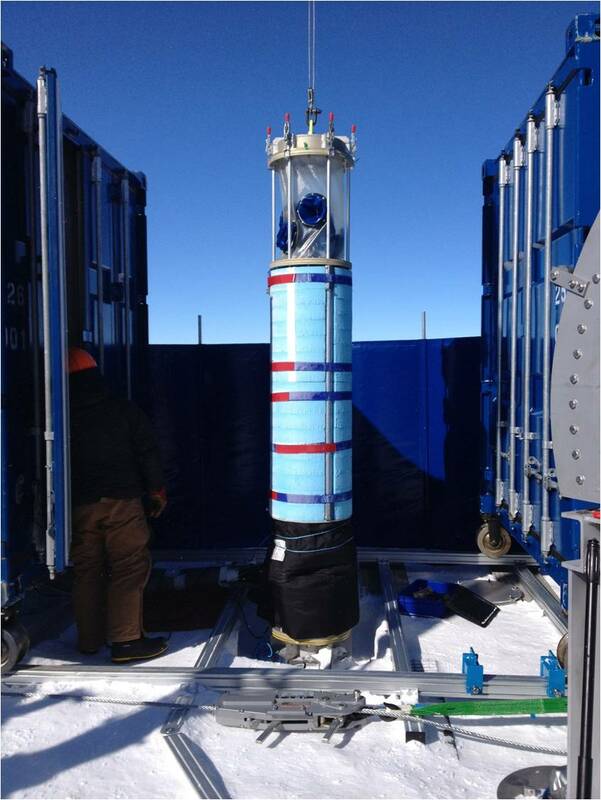 Consequently, the efforts of the Lake Ellsworth team are now focused on delivering a technique for rapid, reliable, clean access to the subglacial environment. It is disappointing not to be advancing the science of subglacial lakes research as quickly as we had originally anticipated. But with this facility, we hope to be able to explore the ice-covered lakes, rivers, mountains and valleys of Antarctica in the years ahead. We are hugely grateful to the Natural Environment Research Council, which both funded the research and assisted greatly in providing an objective external review of the programme in 2013. Martin Siegert will be giving our last Shell Lecture of 2013, ‘Lakes Beneath the Ice’, on 18 December. To find out more about the talk, and to book tickets, visit our website. The talk will also be webcast, and available to view afterwards. 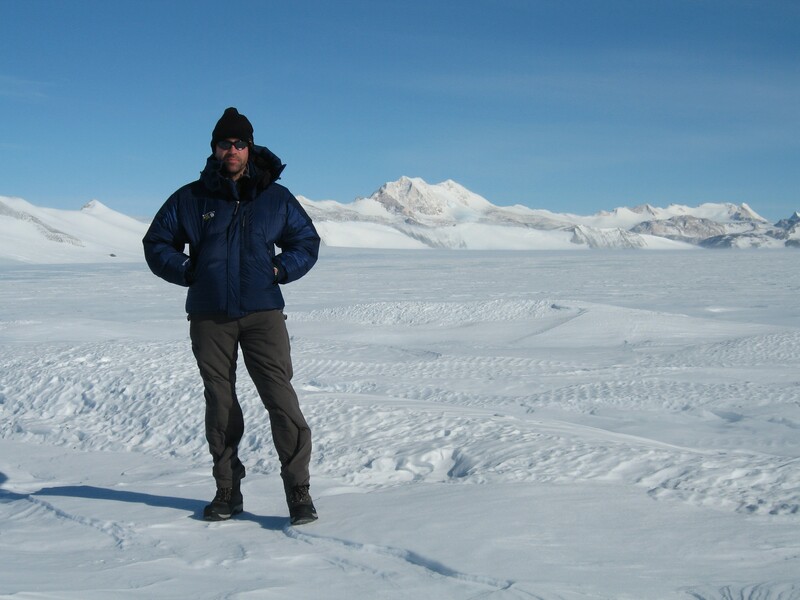 Tags: Antarctic, environment, expedition, geography, geology, geoscientist, Ice, Lake Ellsworth, Shell lecture. Bookmark the permalink.